Thankfully, you don’t have to blow your budget to integrate creative desk ideas for your home office. Small additions, like picture frames or plants, can add new life to your work space surroundings—and don’t worry, these aren’t your typical run-of-the-mill suggestions you’ve seen before. 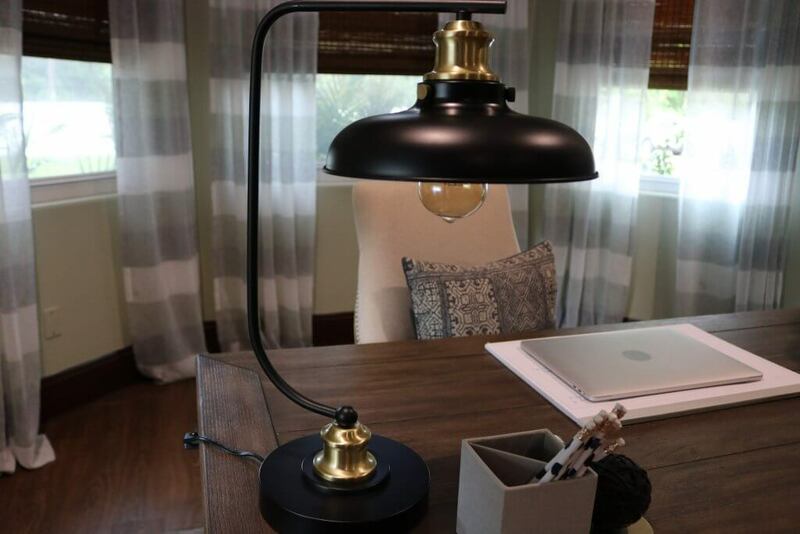 We’ve rounded up 16 of our favorite desk ideas for the home office that you’re sure to love. The first thing you’ll want to keep in mind when thinking of ideas for your desk decor is that even the small accessories can dictate your workspace vibe. 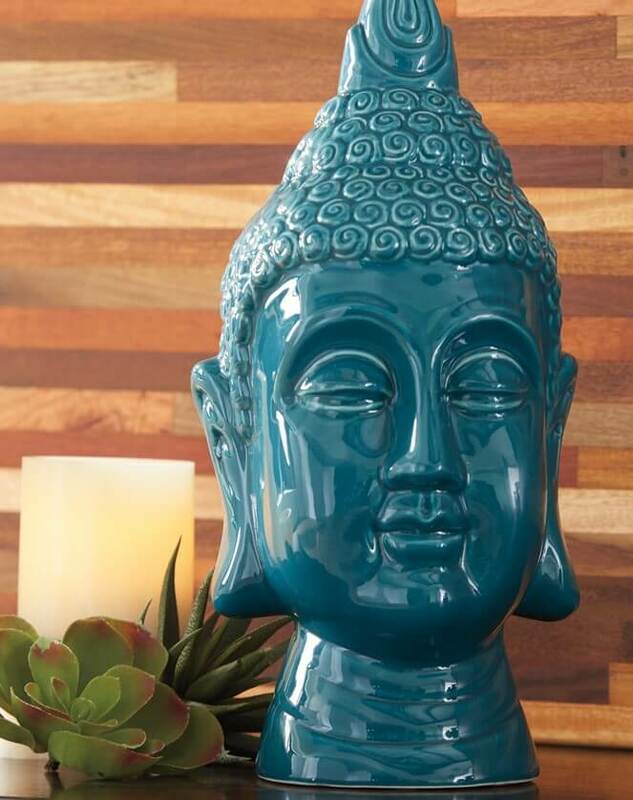 If you want to create a sense of tranquility, a decorative Buddha sculpture can remind you to stay calm when you feel overwhelmed with tasks. Or, if you want to create that high-energy feel of a modern Silicon Valley office, minimalist-style home accents are the perfect choice. Just remember, keeping it to just one or two items is key for honing in on a look while keeping your desk free of distracting clutter. Give your eyes a break from the computer screen with fresh greenery. It’s a refreshing sight for tired eyes and plants have been shown to boost your mood. Since succulents are easy to care for and don’t require a lot of sunlight, they make the perfect office buddy. Give this DIY Terrarium a try. Wall clocks are a practical choice that might not seem exciting, but who said practical has to be boring? There’s a variety of wall clocks out there and chances are, there’s one that fits your style just right—whether you’re a fan of sleek modern lines, traditional rich hues or beachy-chic flair. Plus, it’ll help you stay on track with your deadlines. Even more importantly, you’ll easily be able to check when it’s finally wine o’ clock. A smile can really make all the difference. 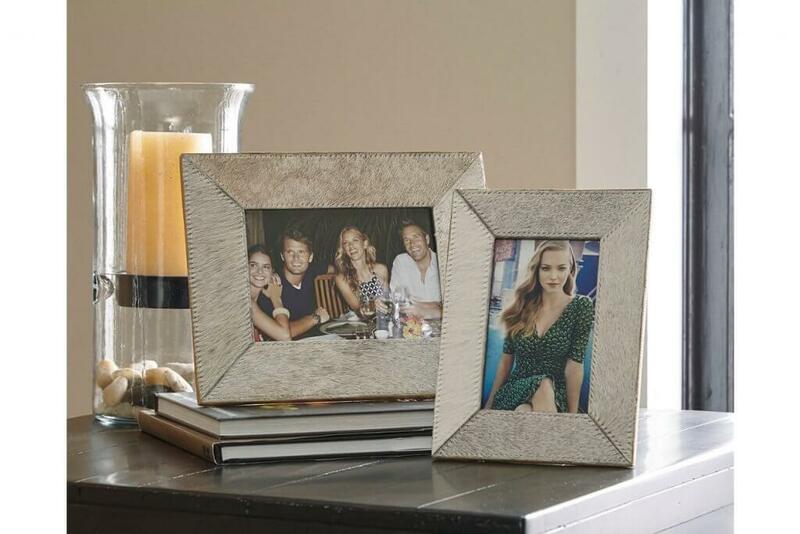 Personalize your workspace with photographs of your friends, family, pets or memorable moments. 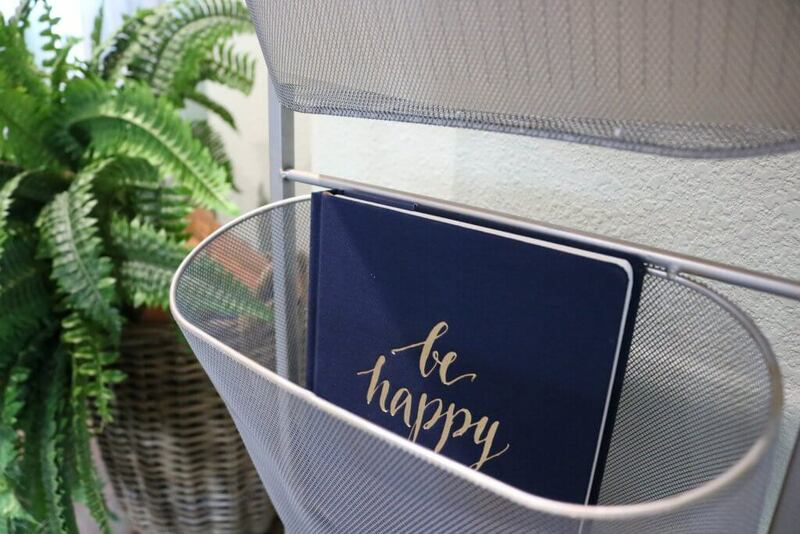 Good desk decor isn’t only about aesthetic, but about what makes you feel happy—so surround yourself with cheerful memories to make work more enjoyable, and give those memories a worthy home tucked inside chic picture frames. If you love getting crafty with creative ideas, you’ll love this desk decor project. Give your plain old mousepad a totally new look with fabric and spray adhesive. 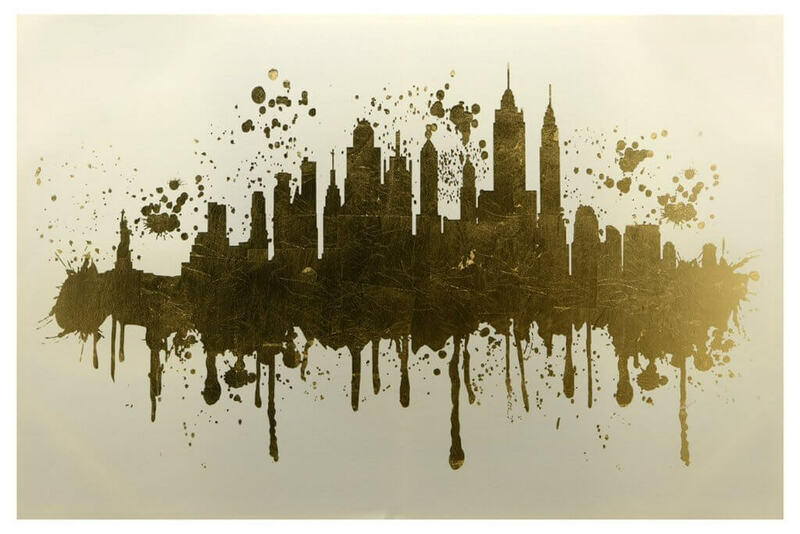 Once you’ve found a fabulous fabric that resonates with your style, simply trace the diameter of your mousepad onto the back of the fabric, cut carefully and use the spray adhesive to attach atop your old mousepad. How easy is that? If you love the look of gold metallic polka-dots, follow Lovely Indeed’s tutorialhere. We could all use a little self-motivation from time to time—especially when it’s hard to get started on that next project. Hang up decor with motivational messaging for that little extra push on those days you just don’t feel like doing anything. To recreate this clipboard art gallery look, you can use gorgeous free printables by Craft-o-matic. She took plain clipboards and painted the silver hardware in gold—so you can totally customize the look with your favorite colors. And motivational messaging isn’t restricted to just quotes or phrases—a pictures does say a thousand words, after all. 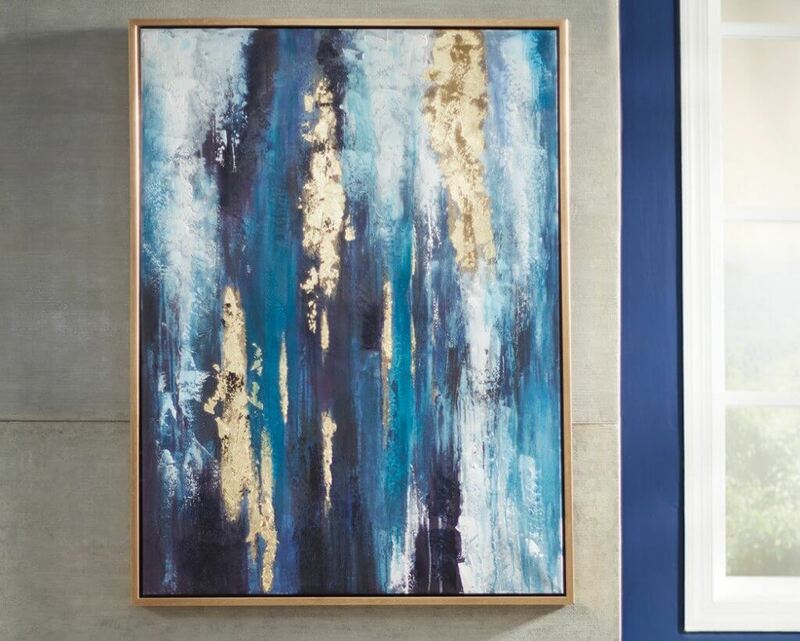 Hang up a scenic landscape to whisk you away into your creative sweet spot, or consider a piece with artistic expression that reminds you of your larger than life dreams (that are all totally within your reach). White walls are fresh and clean, but too much white can actually inhibit creativity. Scientific studies have shown that colors can impact our productivity, and that bland gray, beige and white offices can create feelings of sadness and depression. Ick. You don’t have to worry about going all out with the paint though—a couple pieces of wall artcan do wonders for your desk space. Keep the creative ideas flowing at your desk with colors that help improve efficiency, focus and your overall well-being—like blue, green or purple. It’s not your mother’s wallpaper. The quality, styles and ease of use have really improved over time, and nowadays you have a pretty amazing selection to sift through. Going for an urban-chic look? There’s faux brick wallpaper for that. Want to show off your worldly bohemian flair? There are so many vibrant patterns to choose from. It’s the perfect solution for a hassle-free accent wall. If you’re a bibliophile, this is sure to rank as one of your favorite desk decor ideas. 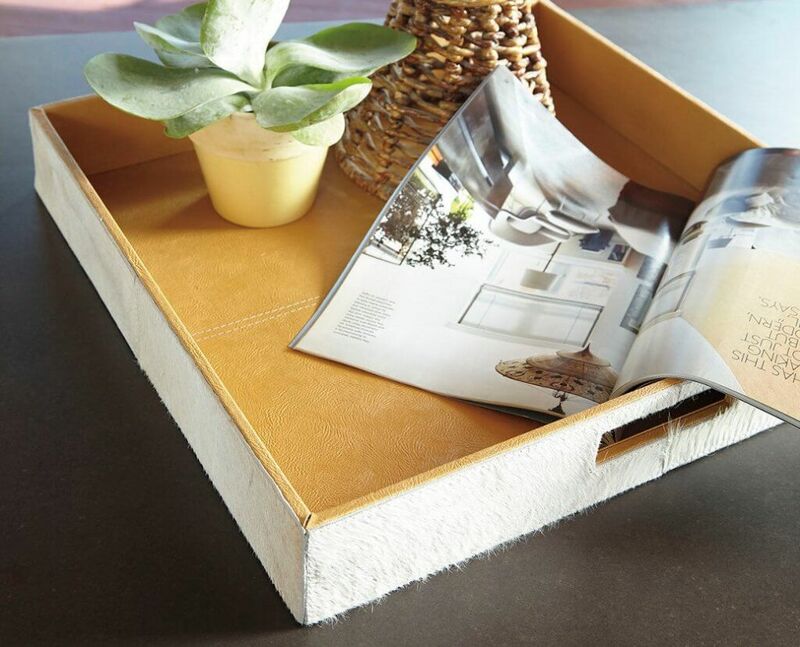 Keep your favorites and the books on your “to-read” list proudly displayed and within easy reach. 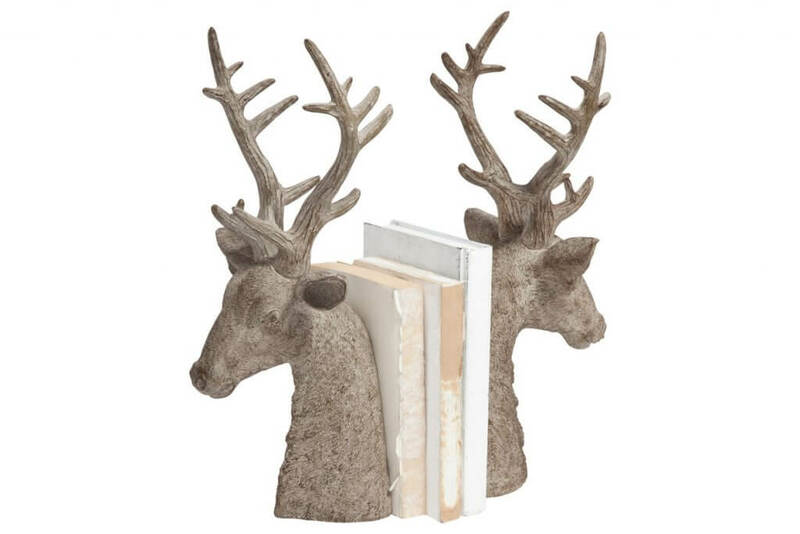 A pair of bookends keeps your literary treasures neatly at bay, all while showing off your personality. Have you ever been prepared to start working, only to get distracted by a mess? It’s easy to let things get out of control when you don’t have the proper desk organizer tools. These trendy boxes neatly conceal all of your small trinkets, keep them close by and add a chic decor element to your desk. Or, you can use small decorative baskets without lids to easily locate and grab what you need. Creative desk ideas don’t have to be purely visual. In fact, scent in your work environment can have a big impact on your productivity. Lemon, jasmine, cinnamon, peppermint and rosemary are popular scents for boosting both mood and productivity. 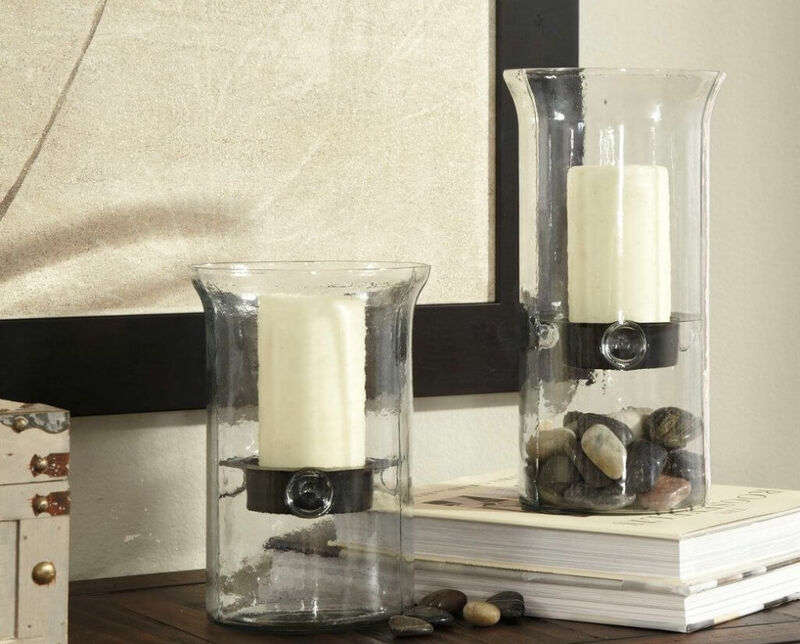 Keep your mind in the zone with scented candles housed in stylish holders. If you want to personalize your candle holders with your own unique spin, consider glass holders. You can easily decorate the exterior or even fill the bottom with interesting textures, like natural rocks for a Zen feel. 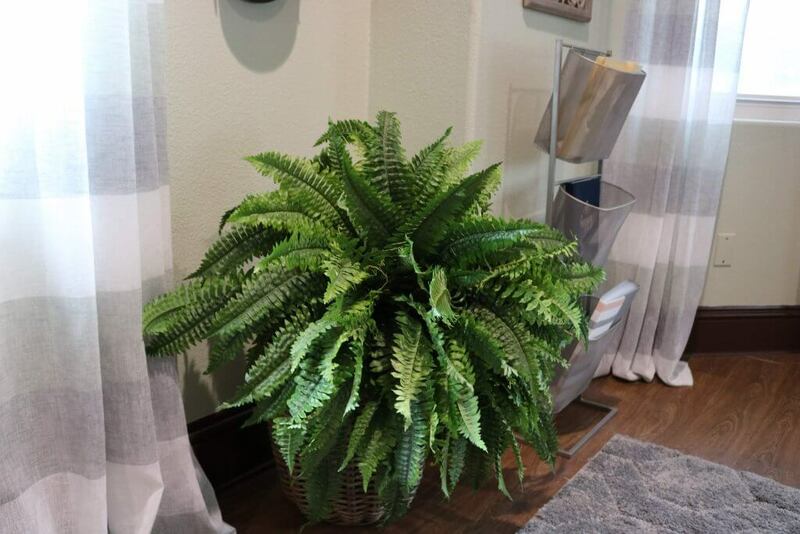 There’s a reason why indoor plants have become so popular. They help improve air quality, have been shown to reduce stress, boost your mood and are just plain pretty—of course it had to make our list of best home office desk ideas. Once you’ve found your ideal plant match, pair it with a stylish vase that can hold freshly cut flowers, or stand out as an accessory of its own. Or, you can fake a green thumb with pretty faux flowers in a set of small vases…who has time for the upkeep anyway? [Give your neck, and your desk space, a break with a monitor stand. This frees up your desk’s surface area, allowing you to slide papers, note pads or desk organizer tools underneath your computer monitor. It’s desk decor that’s just as bright as you are. Whether you’re blessed with plentiful natural light or have an office space tucked away without windows, you could always benefit from better lighting—especially that of the stylish variety. 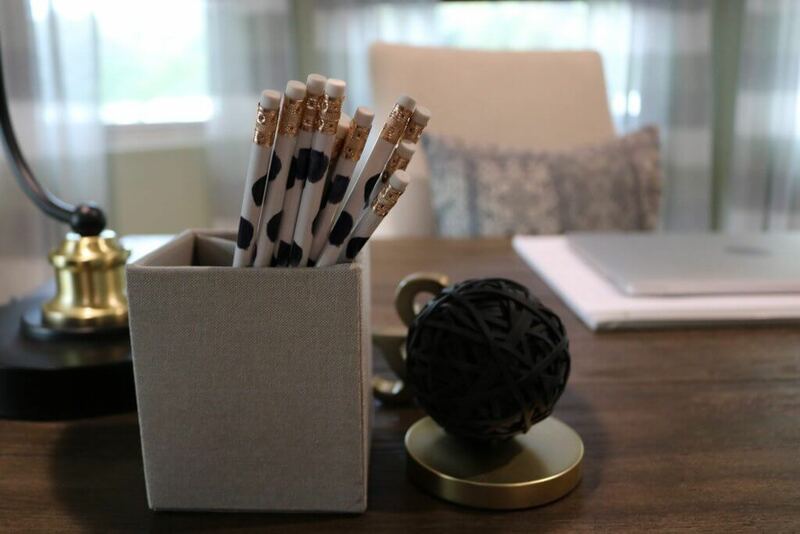 Little pops of gold are always trendy, and integrate beautifully with all kinds of decor styles. One of the best things about working from home is that you don’t have to stay chained to your desk. On a whim, you can take your work with you to your cozy sofa, your patio space or the kitchen bar. Make movement easy by arranging all your essentials—like pens, notepads and laptop charger—on a decorative tray. It looks great and makes being on-the-go simpler than ever. Desk space is precious, especially if your home office is on the smaller size. A great way to maximize the square footage you have is by installing floating shelves. They’re easy to DIY, and they make it easy to organize your essentials. Display your favorite books and home accents, and add hooks to hang small jars from—what an innovative way to store pens, paper clips and more. 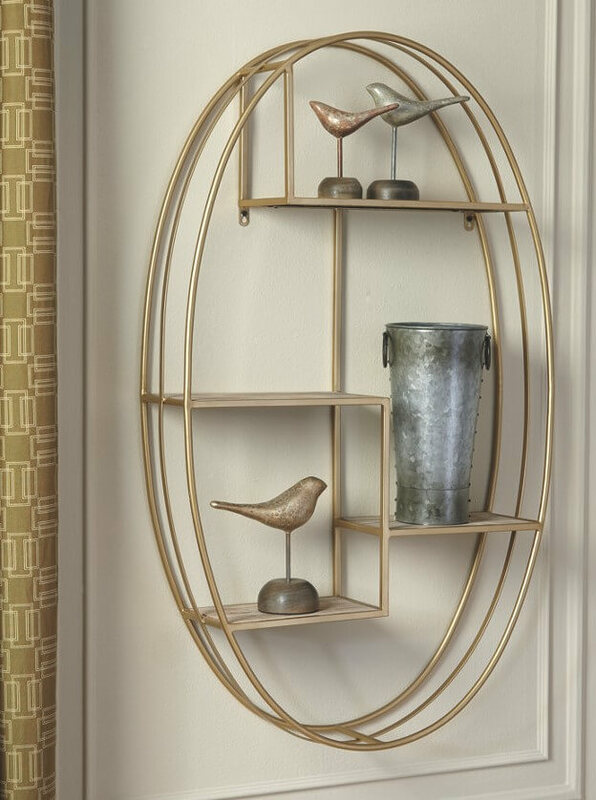 If you’re not the type to whip out the hammer and measuring tape, then this ready-to-hanggolden metallic wall shelf just might strike your fancy. With four slots to display your favorite home accents and store your office necessities, this fabulous find will help clear off desk space and inject cool style, all in one. Did any of our desk decor ideas speak out to you? We’d love to see photos of your chic home office. Make sure to share the inspiration on Instagram with the hashtag #MyAshleyHome—it might just make our next list.